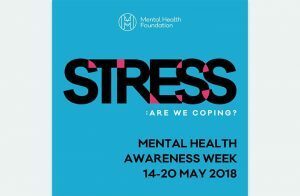 I’m delighted that Mark Vahrmeyer has contributed his article, Understanding Stress and How it Affects your Emotions as we continue the Mental Health Awareness Week campaign “Stress: are we coping? Mark’s article clearly highlights how stress affects us and how we can regulate our response to it. Mark Vahrmeyer is a UKCP-registered psychotherapist and co-founder of Brighton and Hove Psychotherapy (www.brightonandhovepsychotherapy.com). 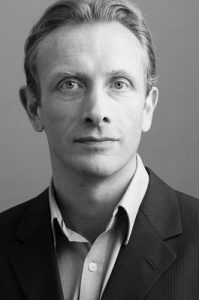 He works in private practice in Hove and Lewes, East Sussex, with individuals and couples and offers clinical supervision. He is trained in relational psychotherapy and uses an integrative approach of psychodynamic, attachment and body psychotherapy to facilitate change with clients. Stress is an ordinary part of the human condition, however, physiologically the word simply refers to a factor (inside or outside of us) that is causing us to feel our emotions more intensely. In this blog I would like to dive deeper into understanding stress and consider that perhaps the problem is not so much stress itself, but how we manage our arousal levels – or heightened emotion – that matters. It is all about Affect Regulation? Affect regulation is a clinical term for emotional (affect) regulation (management): managing emotions. Let’s use an example to illustrate this: we all regulate (manage) the external environment around us moment to moment, such as by regulating the temperature in a room by either opening a window, or turning up the thermostat. Now, imagine a sunny warm afternoon, and you are relaxing in a place or space you feel relaxed and safe. There are no worries or stressors and life is good. We call this state ‘rest and digest’. Sadly, calmness is transitory, and soon a stressor will appear on the horizon: an irate relative calls; we realise we have lost our keys somewhere on our walk; our partner says something we experience as hurtful – the list of possible stressors is endless. In this moment, our arousal (stress) levels increase; arousal simply refers to the wide range of physiological, emotional and psychological changes that happen when our attention is drawn to a stressor that we perceive as something that needs dealing with. We have moved from ‘rest and digest’ into a state of alertness. If our arousal starts to become too heightened, we can shift into a ‘fight or flight state’ (or freeze/fold state), where our thinking brain (pre-frontal cortex) quite simply goes offline and we feel overwhelmed. We are now, what is colloquially known as, ‘stressed-out’. Being in a ‘fight or flight’ state is evolutionarily useful if we are about to be attacked by a sabre-toothed tiger. However, in most day to day situations and interactions, it is simply unhelpful and potentially damaging. Affect regulation is therefore the understanding and practical implementation of how we manage our emotions in the face of an ever-changing inner and outer environment. In simplistic terms, we learn to regulate our emotions through our primary caregiver who teaches us to do this (these are the basic principles of Attachment Theory). They literally help us make sense of our emotions by using their own nervous system to tune into ours and give form, shape and language to our experience. This caregiver is often our mother, as she will generally have the strongest and most frequent physical bond with us when we are very young, such as when we are breast-feeding. Broadly speaking, there are two ways we regulate ourselves: we auto-regulate, and we regulate our emotional state interpersonally – through relationships with others (this is arguably ultimately why we pair-bond in romantic relationships). Auto-regulation is the ability to self-soothe; the ability to hold onto a thinking mind as arousal levels start to increase, to ‘think things through’ and then take action, rather than being at the mercy of our reactions. Examples of self-soothing techniques in the moment require mentalisation (holding onto that all-important thinking mind) and can be as simple as taking a deep breath, walking away from situations that are not in our best interest, through to engaging with external behaviours and activities such as yoga, going to the gym, meditation and lifestyle choices such as diet and good sleep hygiene. Auto-regulation can also include a whole host of dysfunctional behaviours which, rather than stemming from taking ACTION, as a result of using our thinking minds, fall into the categories of REACTIONS, where our mind is offline and we are in fight/flight or freeze/fold mode. Interpersonal regulation involves us using our thinking mind to seek out other human beings with whom to share our emotions. All humans are wired for connection and while we can, and must, learn to auto-regulate in healthy ways, the fact of the matter is that our nervous system needs the nervous system of others in order to down-regulate our emotional state. Put simply, human beings are hard-wired for relationships and need these relationships in order to feel calm and content. Why do some people find mindful auto-regulation and inter-personal regulation harder than others? Perhaps it is because it becomes very hard to hold ourselves in mind when the one person – our primary carer – who should have helped us to learn to regulate our emotions, could not do that. This makes auto-regulation hard to do as we simply have not learnt it. And to compound matters, if that primary carer could not do it for us, why would we trust that anybody else can? How does psychotherapy help regulation? Good psychotherapy starts with helping clients to make healthier choices in auto-regulation. However, the real goal of therapy is to help clients to grow their minds and find – perhaps for the first time – safety in a relationship where they can entrust their precious mind and nervous system to be seen, witnessed, validated and ultimately regulated by the mind and nervous system of their psychotherapist. Stressors cannot and should not be eliminated, however, we can learn to tolerate difficult feelings and hold onto our thinking mind. Mark Vahrmeyer is a UKCP-registered psychotherapist and co-founder of Brighton and Hove Psychotherapy (www.brightonandhovepsychotherapy.com). He works in private practice in Hove and Lewes, East Sussex, with individuals and couples and offers clinical supervision. He is trained in relational psychotherapy and uses an integrative approach of psychodynamic, attachment and body psychotherapy to facilitate change with clients.